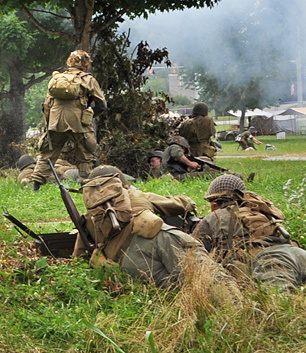 Battle Between US & German Soldiers. 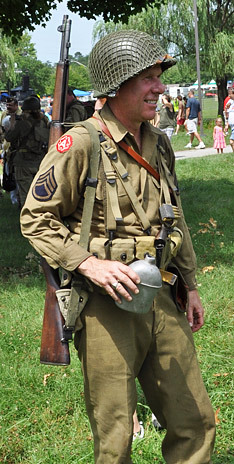 Lady Sarge in Period Uniform. 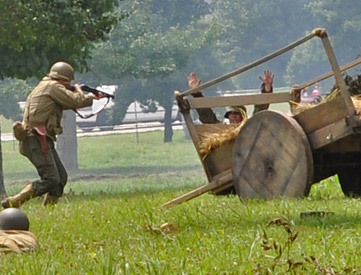 Battle Reenactment at Secret City Festival. 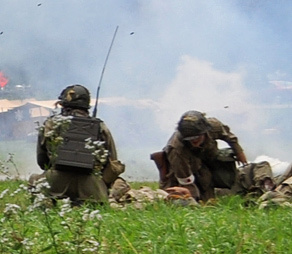 Toward the End of the War. 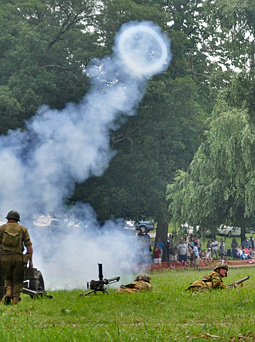 Artillery Blows a Smoke Ring. 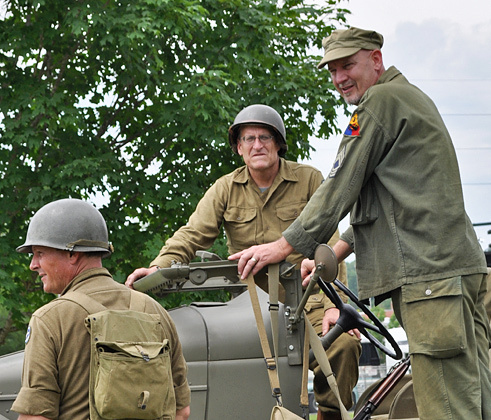 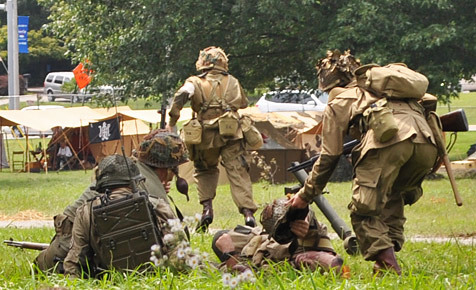 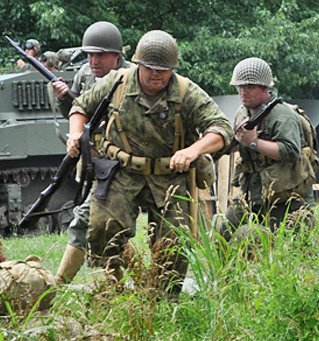 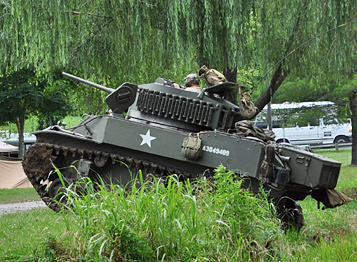 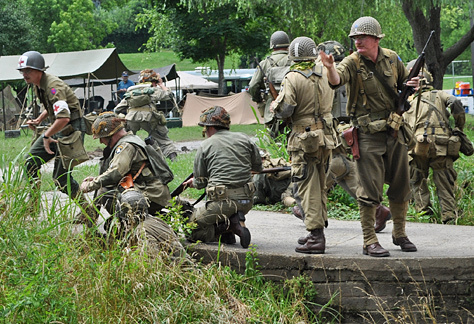 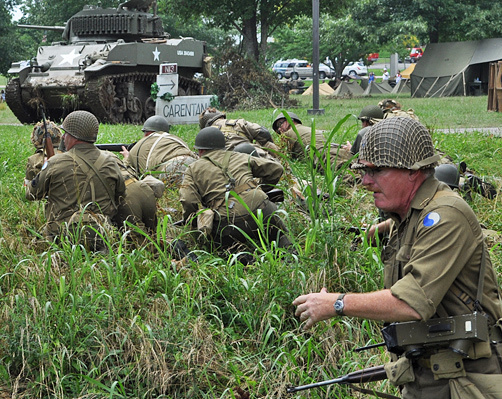 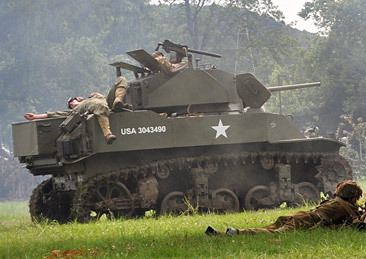 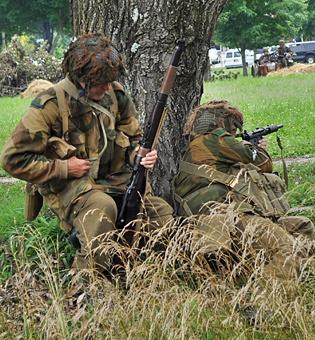 World War II Battle Reenactment. 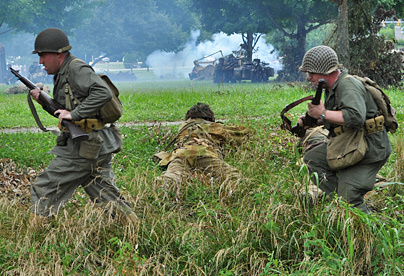 US Troops on the Move. 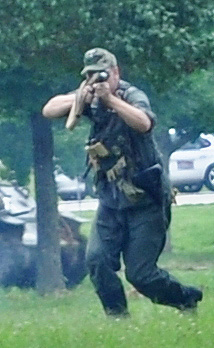 On The Move...Where's the Medic? 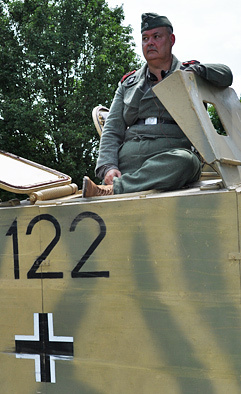 "Getting Old is Getting Old!" 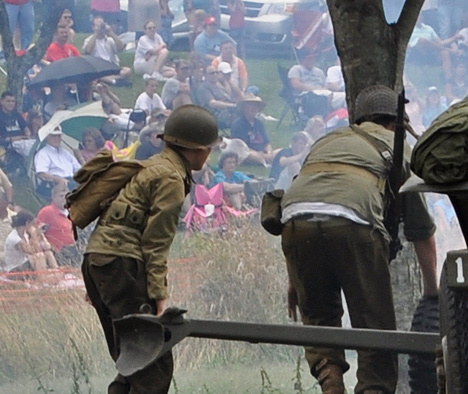 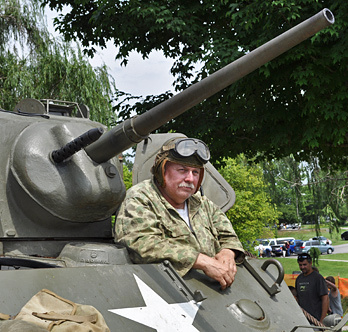 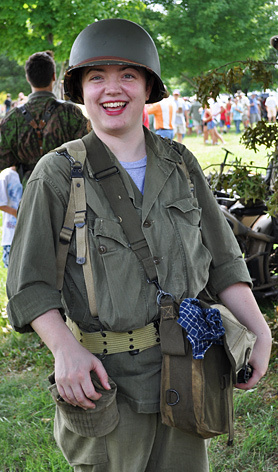 Large Crowd at the 2010 Secret City Festival WWII Battle.